Wring more out of the data with a scientific approach to analysisGraph Analysis and Visualization brings graph theory out of the lab and into the real world. Using sophisticated methods and tools that span analysis functions, this guide shows you how to exploit graph and network analytic techniques to enable the discovery of new business insights and opportunities. Published in full color, the book describes the process of creating powerful visualizations using a rich and engaging set of examples from sports, finance, marketing, security, social media, and more. You will find practical guidance toward pattern identification and using various data sources, including Big Data, plus clear instruction on the use of software and programming. The companion website offers data sets, full code examples in Python, and links to all the tools covered in the book.Science has already reaped the benefit of network and graph theory, which has powered breakthroughs in physics, economics, genetics, and more. This book brings those proven techniques into the world of business, finance, strategy, and design, helping extract more information from data and better communicate the results to decision-makers. Richard Brath is actively involved in the research, design, and development of data visualization and visual analytics for both research and commercial applications for some of the world’s largest companies and top software vendors. His solutions range from rich, interactive visualizations for mobile devices, to large multi-touch, multi-screen installations and web-based analytical visualizations for business applications. David Jonker is a designer and developer of visualization platforms and applications for web-based, distributed, desktop, and mobile use. He created visualization products for NASDAQ MarketSite real-time broadcast in Times Square, and is currently a lead on the DARPA XDATA program, developing new tools and technologies for making sense of Big Data. 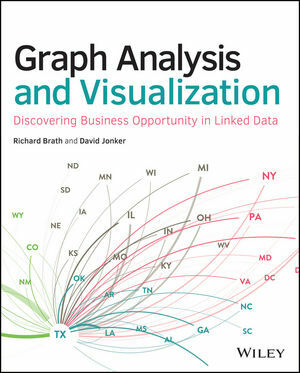 Brath and Jonker are partners at a leading visual analytics firm. Between them they have presented at more than 30 industry conferences, and have published numerous articles and research papers.